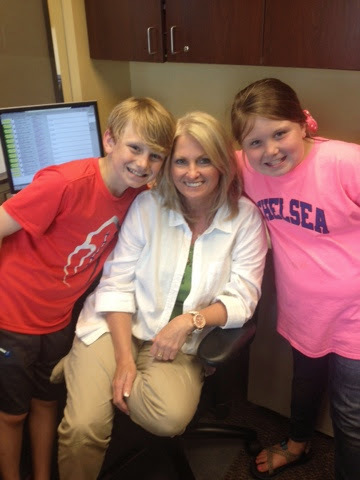 Wednesday, April 30th: We will Miss you Mrs Frankie!!! 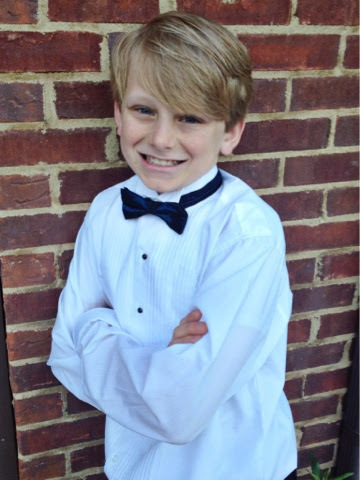 Jackson had his Spring Choral Festival today! He was a choir member all year just so he could get out of school this one day to sing and go play at the park!!! Silly Boy!! However he looks 16 here... How did he grow up so fast!!! Crazy!!! Today was Jackson's birthday!!! 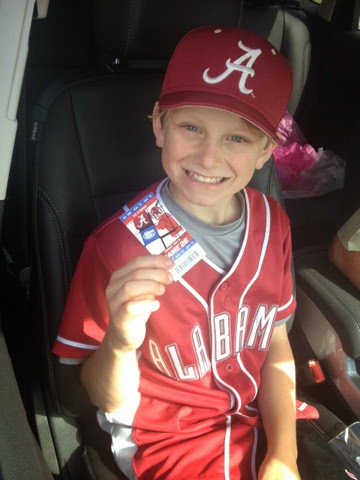 He went to the Alabama baseball game in t-town with Grandaddy!!! Thanks Nonnie and Poppie for the tickets!! 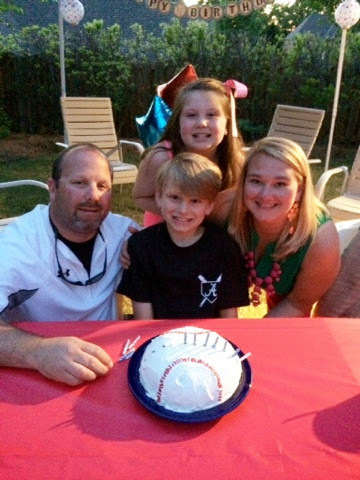 Tonight we had a cookout at my parents to celebrate Jackson's birthday!!! We enjoyed hanging out with our family and friends and celebrating ole JP!!!! Brylee has quite the cheering crowd at her game today!!! 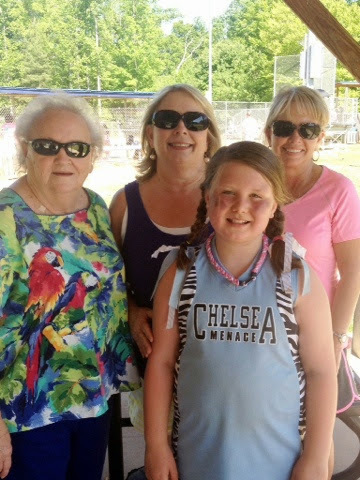 My Nannie came up from the beach for a few weeks so she came to see her play!!! Along with GoGo and KK too!!! Monday, May 5th: Do your Best on the Test!!! Today was the first day of "achievement test"!!! 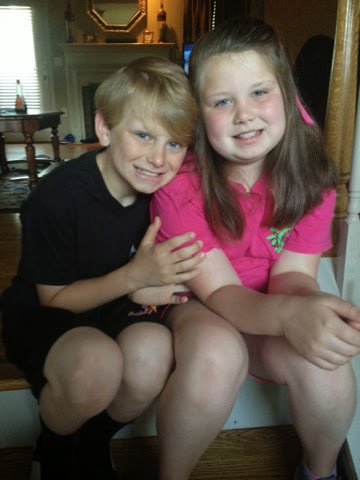 Good luck Jackson and Brylee!!! 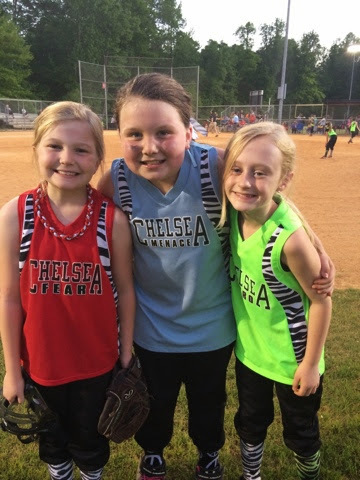 Sweet Softball Friends: These sweet girls have been cheer friends and now they have moved on to be softball buddies!!! I live cheering on these girls on the field and love their mamas too!